It all started with an email requesting help/support and assistance for their program. This would be a huge family gathering from Sweden along the Lycian Way. Hodjat from Sweden was my contact and helped me a lot to understand his family’s requests and expectations. After I prepared my draft program I sent it to Hodjat including all requirements (e.g. items to take with us during our walk), accomodation and transfers he presented our program to his family and accepted with minor revisions. Here we begin to program that we are all waiting for eagerly. On Friday, 01 May 2015 we start to meet up with all family members at Turk Otel, Oludeniz. We start to meet one by one at the hotel cause some of us arrive to Oludeniz from Dalaman airport and some arriving from Alanya, a town close to Antalya. Altug arranged all the transportation from Alanya to Oludeniz or Dalaman Airport to Oludeniz. Our driver’s name was İbrahim, a retired officer from Ministry of Education. İbrahim was a marvellous person who delivered all of our luggages from village to village and provided food, beer and wine regularly, depending on our daily orders. Being a resident in Fethiye, he had a lot knowledge about the places we would be visiting. In Oludeniz we will be 14 people but after we start hiking we will be 12. There two visitors who will be with us during Oludeniz and Kayakoy tour. They will be with us during our walk. Don't take this group easy. Most of them (incl. all ladies and gentlemen) almost climbed all mountains of Iran in 1970s. It’s obvious that 2015 season begin in by the beginning of May cause most of the resaturants, hotels and pensions are in revision and do not fully serve. But this is not a case to make things go wrong. Even the service is slow, we are enjoying the days in here. Turk Hotel was almost fully booked and service was excellent. We can recommend this hotel if you need to make a decision for accomodation in Oludeniz. They also serve lunch&dinner (like home made) which we preferred for the second day. According to our program, we will start walking the Lycian Way on Sunday (03 May) and tomorrow (Saturday) we will be sightseeing around Kayaköy (in Greek, Livissi), a city of Lycia and Romans, finally Greeks lived there until 1922. Kayaköy is a ghost town now but serves as a museum and a historical monument. Kayaköy was adopted as a World Friendship and Peace Village by UNESCO. After Kayakoy tour and lunch, some members of our group will possibly give a try for Paragliding. Besides this Altuğ’s (myself) "explorer soul" is on vacation on this trip. I will be walking patiently, not trying to discover as I do usually. Now it’s time to rest and prepare ourselves for the second day. they put their foot on the ground. There are young worker who help to collect the paraglides after flight is over. They prepare them to the following session. Some of the paraglides are being prepared. They print and paint the company names on them. are not that much thin of course. Beware of the paragliders while you're walking. A paraglider may come down on top of your head. A solo paraglider without a pilot. You need a certificate to do this. It's now time to decide to get information about paragliding. briefing Altug arranged a well-known company for them. summer season (such as painting, cleaning etc.). After we ordered dinner, we need to wait patiently. Here's the May 2015 Lycian Way Team. It was very pleasant to walk with these friendly people. After breakfast we get prepared and leave for Kayakoy tour at 09:00. Although Kayakoy is the main stop for sightseeing around here but at first sight you need to visit Fethiye Rock Tombs (Amintas), Gemiler Bay and Afkule Monastery as well. There are several hiking routes called Fathiye Alternative Walking Routes that connects Oludeniz, Kayakoy, Gemiler, Afkule, Hisaronu and so on (Fethiye Alternative Walking Paths - In Turkish). According to duration of stay in Fethiye these alternatives should be considered. However we will make our start from Lycian Way. After a detailed Kayakoy tour and tea break, we make our plan to see Gemiler Bay from above. After Gemiler Bay we go back to Kayakoy for lunch. Our lunch is the traditional pastry around Antalya and Mugla, Gozleme. Taste of gozleme is really different around here. “Kayaköy is located in 8 km. to the center of Fethiye. Kayakoy, a typical Greek site, dates back to 3000 B.C.. In Kayakoy, (in Greek; Levissi, In Lycian; Karmilasos) you’re able to see many chapels along the houses, two big churches, school besides historical stone residences, survived till today. Kayakoy was the center of Fethiye where Greek and Turkish people lived together. According to the records in 1912 total population was 6500 which was higher than Fethiye.Greek people, who lived in Kayaköy in 1923, was sent to Greece (neo Levissi) because of the exchange of populations between two countries. Turkish people migrated from the west of Trakya (Thessaloniki area). After exchange name of the village changed from Levissi to Kayakoy and Greeks settled thier new villages as named Nea Levissi and Nea Makri in Greece. However, many exchanged Turkish people in Kayakoy, immigrated to other places because they couldn’t adopted themselves to life conditions of the environment. Despite of this, population of Kayakoy decreased considerably and the previous socioeconomic life almost disappeared. We go up to Kayaköy's upper settlements. View from Kayaköy's uplands to its rich meadows. rather than Kayakoy slopes as Greeks did. Matze keeps on investigating the history. Busy man. Water is like gold in Kayaköy. People tried everyway to collect water into cisterns. Nature vanishes the history day by day. We go up to fortress and pass by the church. Seems it's impossible to build up all these settlements. that exchange took away lots of things. Such as memories, social life etc. Most of the buildings are vanished. Mainly, houses had two floors. second floor was for living area. Here we can see the fireplace on the second floor. in order to collect the water coming down from the roof. After a 1.5 hours of sightseeing time for a tea break. Now it's time for Gemiler Bay. Gemiler Island (St. Nicholas Island) was not an island before but because of earthquakes in ancient times, it splitted from mainland. It is able to see the sunken parts of the ancient settlements if you arrange a boat trip here. On the island you’re able to view early time Christianity and Byzantion churches and cisterns. Besides this, you may arrange a daily walk to Afkule Monastery by following the red&yellow waymarks, part of Fethiye Alternative Walking Routes. Photo session at Gemiler Bay. where churches and cisterns located at. It became an island after earthquakes. After lunch group is ready for paragliding. At 15:00, 8 people of our group were taken to Babadag by paragliding pilots. Other members of the group spent their free time at Oludeniz Beach by swimming and canoeing. Paragliders came down from the slopes of Babadag all with high adrenalin and happiness. We will all able to see the excited and screaming paragliders in two days time during Babadag tour. Here we had the traditonal fastfood called Gözleme. Lunch is over. Now it's time to fly. There he is. The last person from our group lands. affected by this extraordinary experience. Anybody who has not acrophodia should try this. after flight. It's up to you to buy them. No obligations. 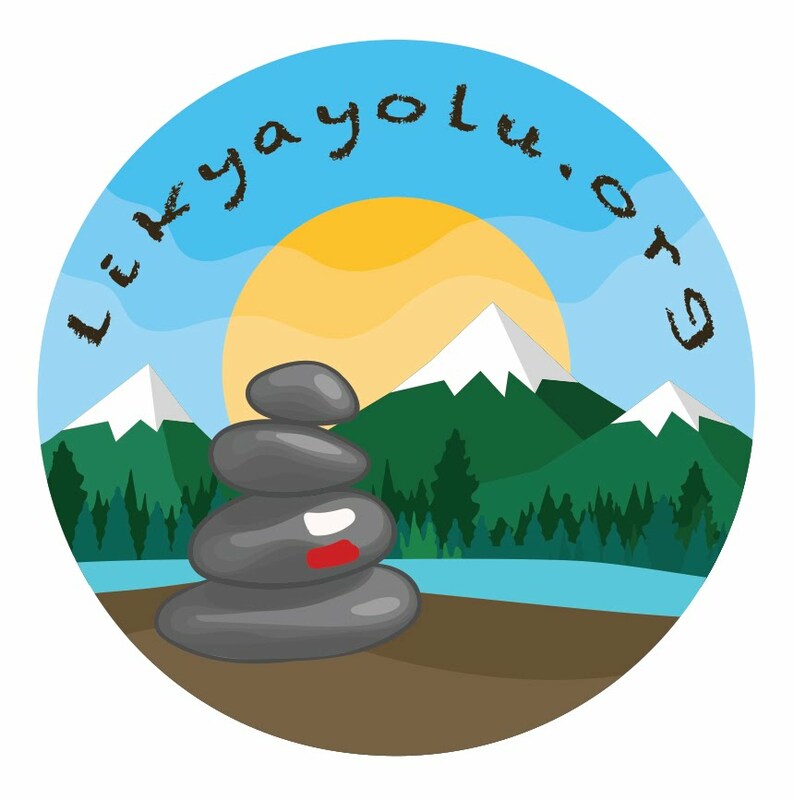 he met in this website likyayolu.org. Fine coincidence. Tonight we will have our dinner at the hotel. Menu is attactive for most customers. Soup, pepper stuffing with meat, green beans, cacık (tzatziki) and boulgour (bulgur). We are all happy to have our dinner here compared with yesterday’s dinner. We have our dinner at the hotel. It is really delicious. We are all ready to make our start tomorrow. After dinner while we were having our wines, Altug makes a short speech to the group explaining tomorrow’s Fethiye-Faralya (Butterfly Valley) Lycian Way route on the map. Water sources, difficulty, waymarks, distance etc. This is required and should be done. Even it is a brief speech and group is well trained, everybody should aware of what they will be experiencing with. Tomorrow’s target is Faralya, George House and watch the sunset on top of Butterfly Valley. Our coach will take our luggages to George House and we will all be walking with smaller backpacks. If you cannot stand it here is the fully completed Turkish version: LINK to CLICK.